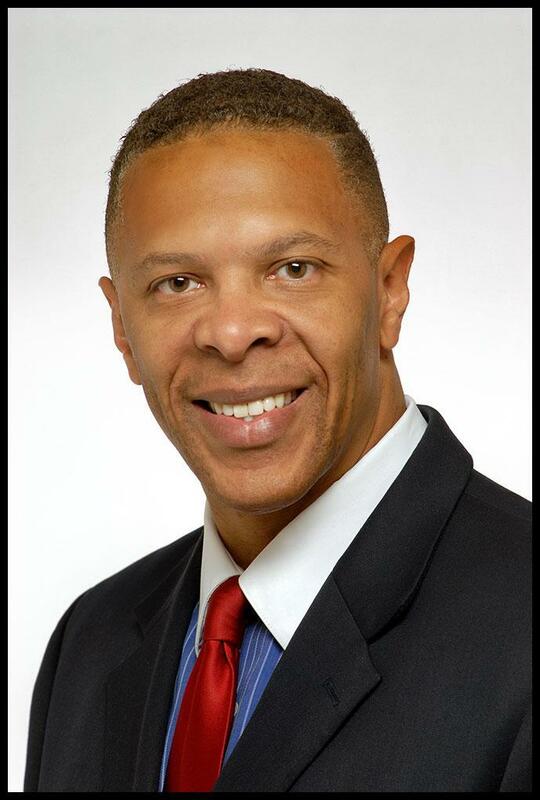 Our priority is to provide the most courteous, professional, and efficient service to best serve the needs of Douglas County residents. We recognize our responsibility to meet the needs of the community we serve and will continue to search for innovative ways to further improve the service our customers expect and deserve. Our staff will carry out their duties with the utmost dedication and integrity as we strive to be the standard of excellence. Check our locations page for other Treasurer Customer Service Centers. To pick up message, specialty or handicapped plates please call 402.444.7103. Downtown is not a walk-in location for picking up plates. Please call the number listed on your letter to request your plates to be delivered to one of our locations. ***IMPORTANT NOTICE: Our new Maple and Dealer Center is now located at the Fitzgerald Home. The new address is 15335 W Maple Road, Suite 102. The State of Nebraska drivers testing and licensing will remain at 108th and Maple. Our South Treasurer's Office, at 50th and G Streets, remains open for business. Our office processes titles, registrations and collects property tax payments. The state has moved it's drivers' licensing services, there, to a Bellevue location. Contact the Nebraska Department of Motor Vehicles for further information. The Treasurer's Office is charged with the collection of taxes. The Assessor/Register of Deeds Office assesses property and assigns a valuation to be used to determine taxes to be owed. Property owners wishing to begin the process of protesting their property valuation should go to www.boardofequalization.org. Questions about the process can be answered by calling the Clerk's Office at 402-444-6510. The number for the Assessor's Office is 402-444-7060. Douglas County Treasurer's Office 2019 Holiday Schedule. Credit/Debit cards are now being accepted over the counter in all of our customer service locations. 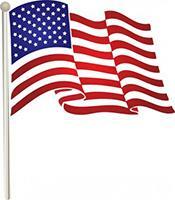 We accept the following credit cards: Visa, MasterCard, Discover and American Express. See attached for the fee that is associated with using a credit/debit card. No part of the credit/debit card fee goes to Douglas County or the Treasurer's Office. Receipts: Your cancelled check serves as a receipt of payment. You may also view and print your payment history on our web via the Real Property Tax Look-Up page. On-Line Property Tax Payments: It could take a minimum of 4 business days to update the record on the Real Property Tax Look-Up page, even though it is considered as paid, the moment the on-line payment is completed. 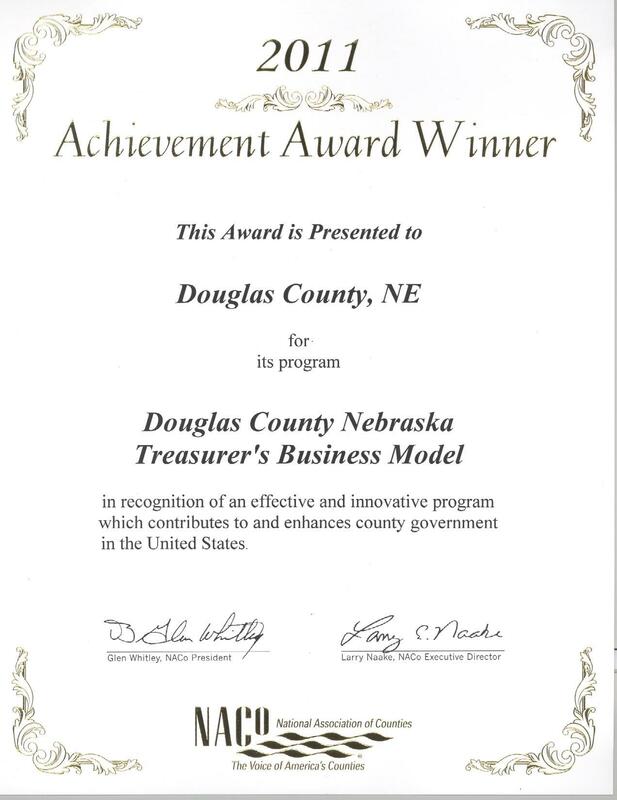 The Douglas County Treasurer is pleased to be the National Association of Counties' 2011 Achievement Award winner for its program Douglas County Treasurer's Business Model. Click on certificate for a larger view. The Douglas County Treasurer's Office has!